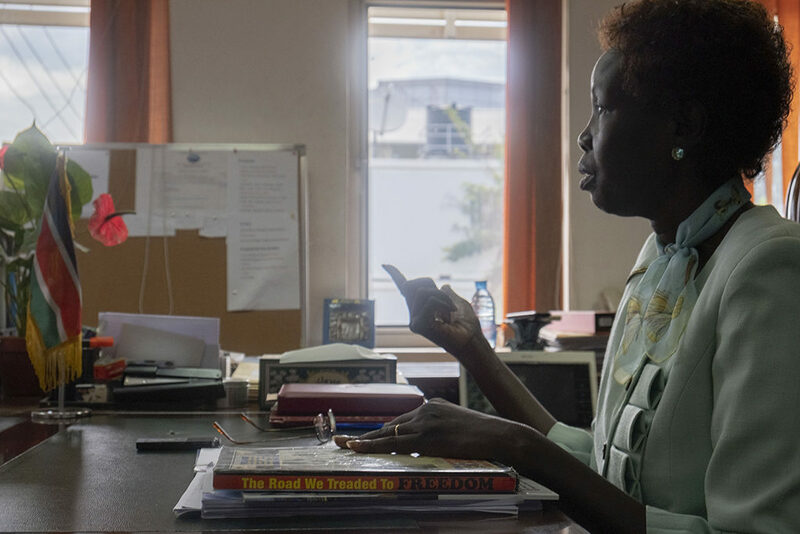 For a story on colorism, I went along with another fellow to meet South Sudan’s Minister of Roads & Bridges Rebecca Joshua. I had heard from someone else that she has strong views on the practice of skin bleaching – and boy! They were right. Joshua gave an exceptionally passionate interview and upon my question on whether she knew of any poetry or songs that celebrate the darkness of the South Sudanese people, she busted out in song.